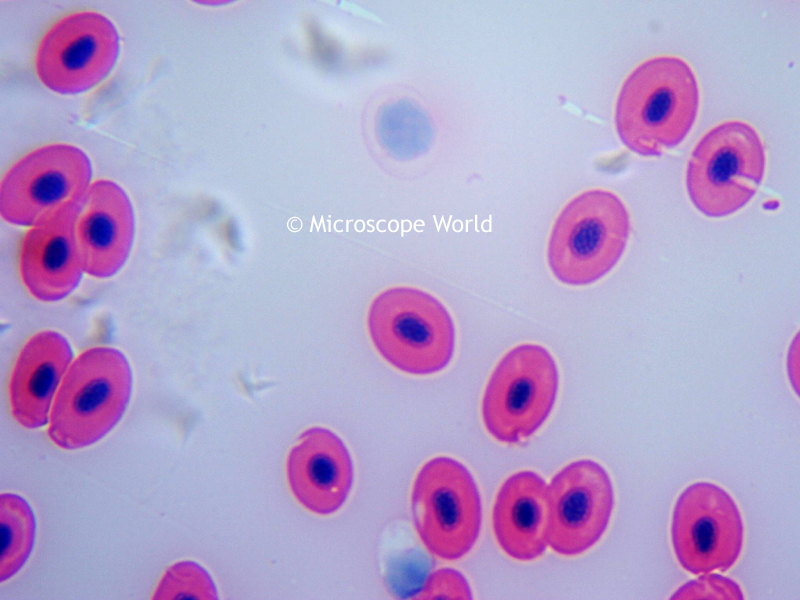 A basic biological microscope (or laboratory microscope) typically has magnifications of 40x, 100x, and 400x. More advanced compound microscopes will also have 1000x magnification. Any high power microscope that offers magnification above 1000x is providing empty magnification and will not produce a clear resolution image. For magnifications above 1000x a scanning electron microscope is required. 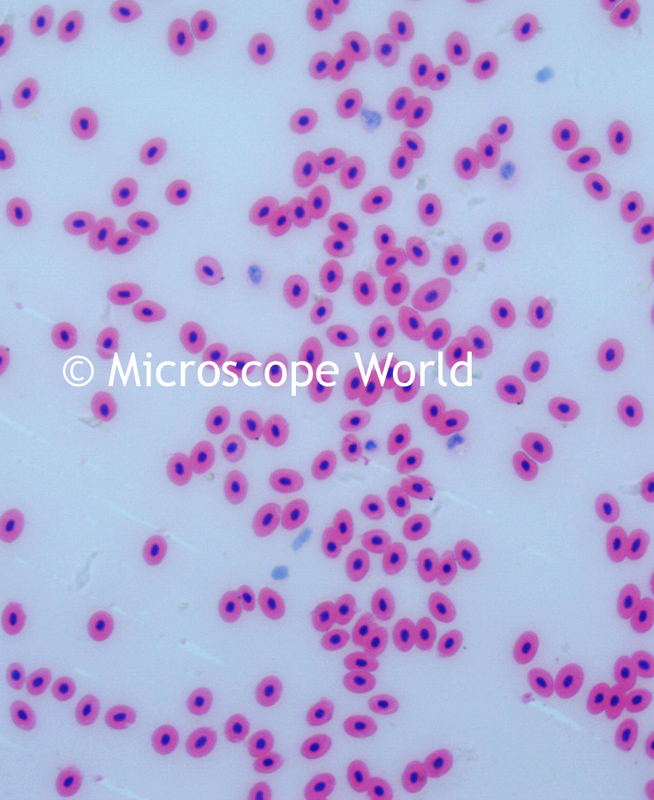 The images below are frog's blood cells under a biological microscope at each of the three most common magnifications. Notice that the nucleus of each cell can be viewed at both 100x and 400x magnification, but at 400x magnification it is much easier to make out.